As eSports have become more prominent, the question of what the hell one does after they stop pro-gaming has been getting raised more. Riot’s even got a rookie camp that aims to not only teach League of Legends players how to market themselves and conduct themselves during interviews, but also prepare them for a career after eSports. In the case of Hearthstone player Ryan “Realz” Masterson, a job at Blizzard was where his career has taken him. 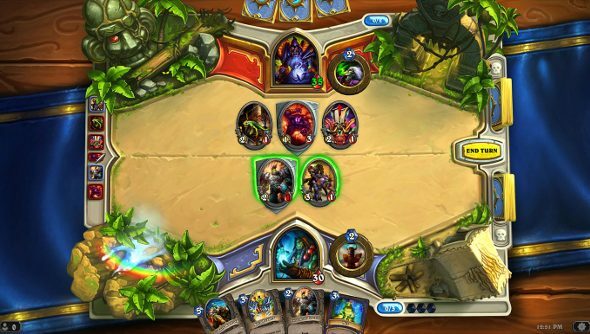 The ex-Mana Grind leader took an associate game designer position with the Hearthstone and World of Warcraft developer after enjoying several tournament victories and becoming a notable streamer. Masterson made the announcement today on Twitter. “This is a truly exciting opportunity for me, and (to rephrase the words of someone I have long admired, who once entered a similar position) I hope my association with the continuing development of Hearthstone will serve to comfort fellow ladder grinders, competitors, and players at large that “one of us” is behind the scenes looking out for the interests of the player,” Masterson said on Reddit.